– Our chapter hosts monthly programs at various locations throughout the Tampa Bay area, including free networking events and webinars. Learn more about events. – Members can take advantage of free accreditation prep classes for those considering earning their APR or CPRC. Classes are taught by local accredited professionals with extensive experience. – Members receive a free listing in our PR Experts database. – PR professionals can find the latest local career opportunities on our job board. – Members and non-members are encouraged to participate in our local and state PR awards programs. – Members of FPRA chapters from throughout the state gather to learn and network once a year at the FPRA State Conference. For more information on the Florida Public Relations Association, visit FPRA.org. In the late 1930s, Lt. Col. John W. Dillin, then director of public relations for the Miami Beach Chamber of Commerce, believed that Florida Chamber executives were not devoting enough attention to publicity and tourism. So he organized a statewide meeting at the Tampa Terrace Hotel in 1938, where 45 attendees voted to form the Florida Association of Publicity Directors and elected Dillin as the first president. In 1951, members voted to change the name to the Florida Public Relations Association. 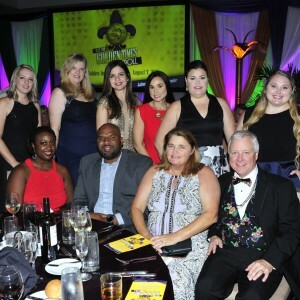 The Tampa Bay Chapter of FPRA, originally called the Gasparilla Chapter, became the organization’s first local chapter in 1956, followed by chapters in Orlando, Miami, Jacksonville and Tallahassee.